The now-vacant Gibson factory will be the new home for FedEx Logistics. UPDATE: FedEx Logistics wants a $2 million grant from taxpayers to move its headquarters Downtown. 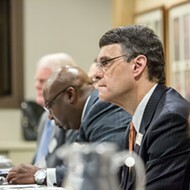 Moments after the official email about the FedEx Logistics project went out, another email from the Memphis and Shelby County Economic Development Growth Engine (EDGE) went out calling for a special meeting on Wednesday. The agenda for that meeting includes the grant request from FedEx Logistics for the $2 million in free money. That money would be used to "tenant improvements to the building which are permanent in nature." The application also reveals that the project will create 339 new jobs, not the 689 new jobs given in the state's news release. 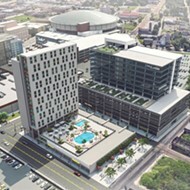 The new headquarters would bring 332 existing jobs to the site for a total of 662, acceding to FedEx's application to EDGE for the free money. The multinational corporation made a profit of more than $1 billion in fiscal 2018. It said it needed taxpayer money to fix the building because of the "high costs for retrofitting the space for office use." FedEx Logistics will move its headquarters Downtown to the Gibson Guitar Factory building in a move expected to cost $44 million and create 689 jobs. 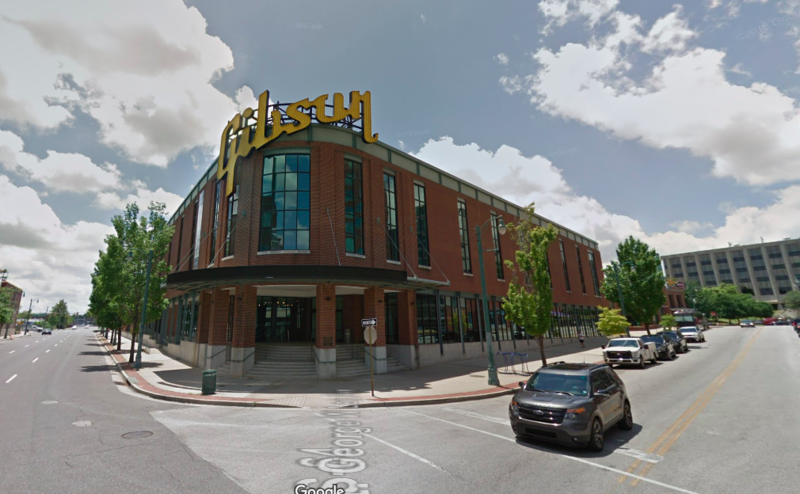 Gibson announced in December that the company would move production from the Memphis location to its Nashville factory. The company said it would be out of the building by April. 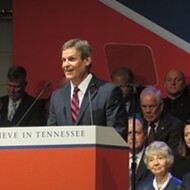 FedEx announced the move Tuesday morning in an event that included a host of elected officials, including Tennessee Governor Bill Lee. FedEx Logistics is now based in East Memphis. 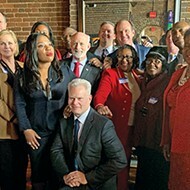 The FedEx subsidiary's president and CEO is Richard W. Smith, who is also chairman of the Greater Memphis Chamber. The company has about 22,000 employees worldwide. FedEx Logistics "provides worldwide freight forwarding services" that "integrates international freight forwarding, customs brokerage, trade and customs advisory services, and other cross-border service to create comprehensive solutions to international trade." "With this move, we’re bringing life back to the Gibson Guitar Factory with one of the strongest brands in the world and continuing to bring more jobs and people to our Downtown," he said.